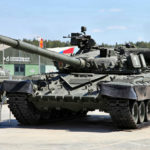 The IS-7 Tank was a Russian Heavy Tank designed for breaking through enemy lines. 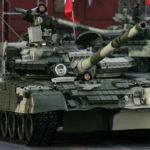 It was another of the IS Tank series aka JS or “Joseph Stalin” Tank. 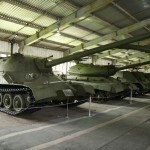 The design phase started in 1945 under the designation Object 230. 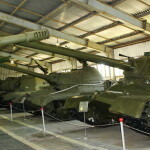 The Complete development history for the Object 230 shows that there appeared to be 2 designs, possibly due to the relocation of the Kirov’s plant to Leningrad. 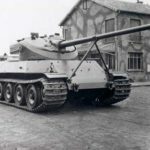 Both were called the Object 230. 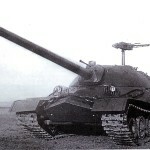 A wooden mock-up of the first design with a 130mm main gun called the S-26 was completed and featured a small turret in the rear of the main turret for a Machine Gun. 2 prototypes were completed in 1946 for trials, though photographic evidence is lacking. 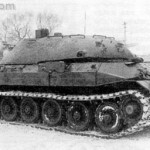 In 1947 the design phase then concentrated on the improved second design, which despite being called Object 230, is what is now commonly refered to as the IS-7. 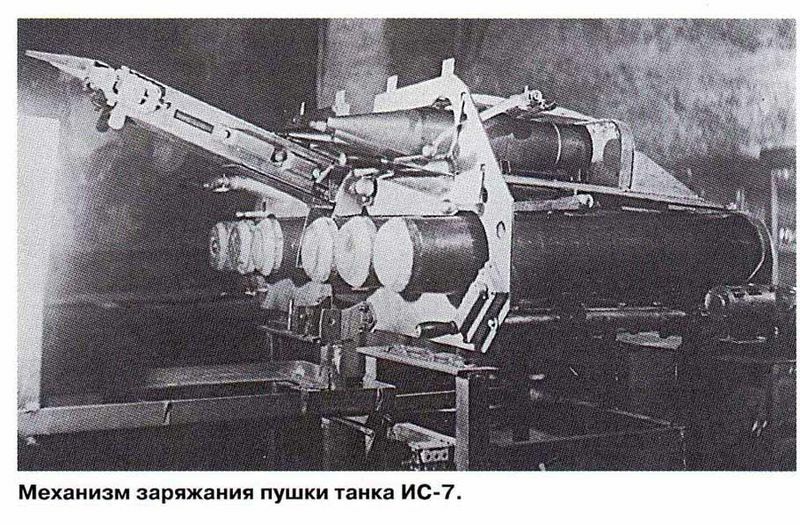 It’s commonly understood that between 4 to 6 prototypes of the IS-7 were built-in 1948 following improvements after an earlier 2 hulls and 2 turrets were constructed for testing. 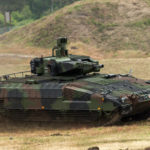 The external appearance of the prototypes changed slightly. 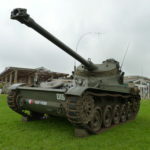 The later ones featured a revised pattern of the circular holes in the end of the main gun, guards were fitted over the head lights and a number of additional Machine Guns were mounted on the turret as was a revised layout of the handles on the roof. 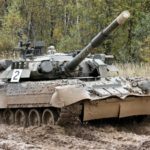 The IS-7 suffered the same fate as a number of IS aka JS heavy tanks and did not enter production (nor did the earlier Object 230 design). 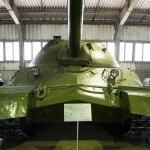 A single remaining example fitted with the later features is on display at the Kubinka Tank Museum in Russia. 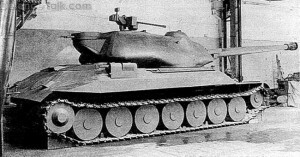 The IS-7 was constructed of thick steel. 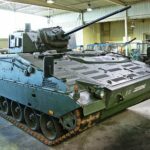 It was shaped and angled by using both welded and cast steel sections to form both sloped (increasing the steels thickness) and spaced armor. 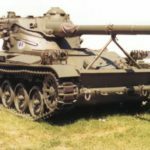 When tested, dogs were locked inside the vehicle and it was repeatedly shot by both the 130mm S-70 (as used on the tank) and German 12.8cm Pak 44 main guns. These failed to penetrate the armor and the dogs survived. 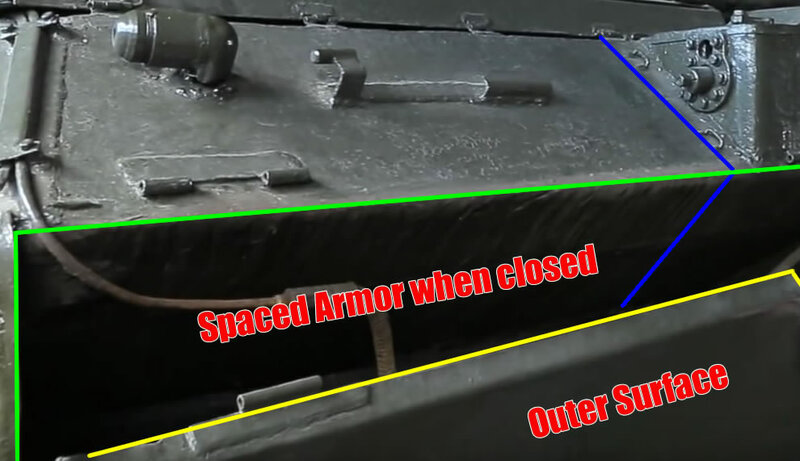 The spaced armor (Green Lines) was created angling the sides of the hull (Blue Lines) and then attaching a thin sheet metal outside skin (Yellow Lines), which when closed created a spaced area. 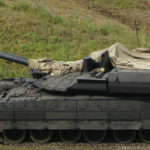 You can see that on the rear spaced armor section in the above image a capable running in to the spaced area as there was an inflatable fuel tank inside this section. 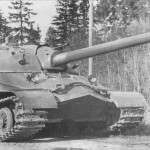 The IS-7 in the initial wooden mockup looked different from the prototypes we now call the IS-7 and had a different 130mm main gun called the S-26, which had a different muzzle brake. 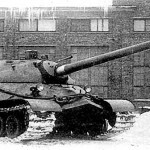 The IS-7 used the rifled 130mm S-70, which was a converted naval gun. The earlier IS-7 muzzle had x7 holes (in a row) while the Late had x5. The main gun has no fume extractor, hence the ventilation fan in the turret top. The main gun had a semi-autoloader, which held x6 rounds and x6 Charges. 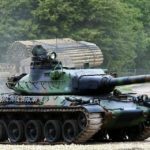 This gave a sustained rate of fire, but when emptied would require time to be reloaded from the various ammo storage racks dotted the whole way round the tank. 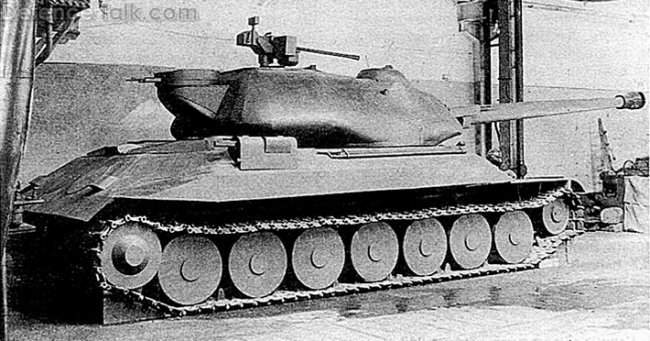 The later IS-7 prototypes had a staggering 5 Machine Guns. 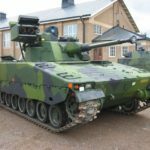 1 and 2 were both 7.62mm and mounted on the rear sides of the turret facing backwards. 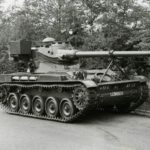 3 and 4 were also 7.62mm and mounted on the hull sides and controlled by the driver, whilst 5 was 14.5mm on an elevated stand at the rear of the turret. Their was also a Coaxial MG mounted above the main gun. 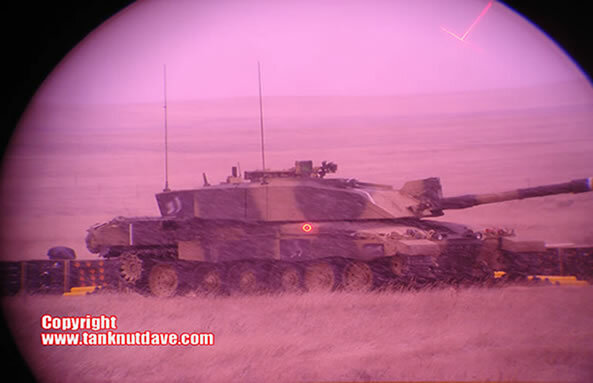 The vehicle has no dedicated protected ammo storage. 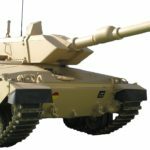 All the storage points are below the turret ring apart from the semi-autoloader, totalling 25 rounds, though it could possibly accommodate more. There may be rounds in a rack but we don’t know? 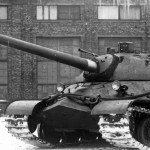 The IS-7 had an x5 crew: The Driver (located in front of hull) The Commander (Right side of main gun) The Gunner (Left side of main gun) and 2 loaders. 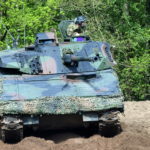 The vehicle had a semi-automatic loader much like that of a Self-Propelled Gun located in the rear of the turret, which handled 6 rounds and 6 CCC (Combustible Case Charge). A video of the inside of the vehicle makes reference to a chair/stole for Loader #1 but not much else on loader #2. 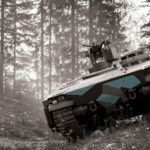 On examining the autoloader (highlighted with a blue square in the above image) it has a handle used by the loader to operate it. 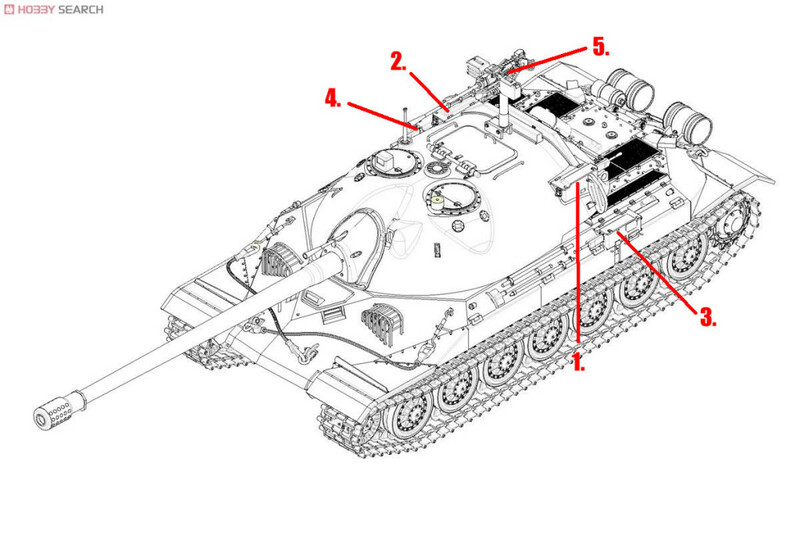 There is a handle on both sides (circled in yellow) of the autoloader meaning it’s operated by both sides and there is also additional ammo storage behind the commander.